As a dentist, you understand that many of your patients have anxiety over visiting your office, of course. Yet what may be a simple case of nerves for an adult can be full-blown terror for a child who fears visiting your office. You want your young patients to get the care they need without seeing you as the bogeyman or woman — so how can you quell their fear? Science has your back. Try these easy, research-driven tips to help your pediatric patients feel comfortable — and even look forward to — their next appointments. Check in with your patient's dad. 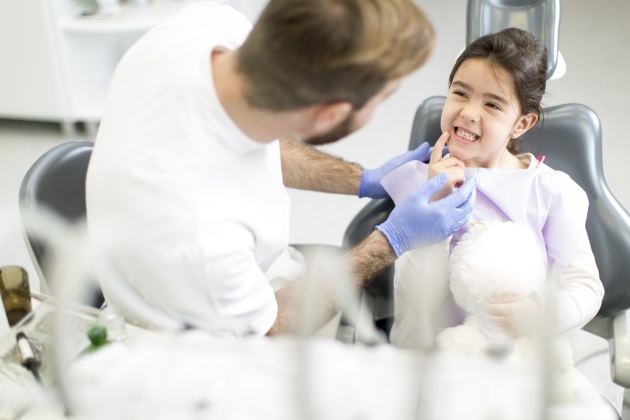 A study from the University of Madrid found that kids most often pick up the cue whether to be afraid of the dentist or not from their father, not their mother. If you know you have a young patient who fears you, make the effort to talk to that child's dad, and ask him to give the positive message that you're a nice, friendly person who only wants to make the child's teeth healthy and happy. This should help your young patient feel better before seeing you. Researchers from the University of Southern California report that children with autism, who often have a difficult time tolerating the physical stimuli at a dentist's office, feel much better if simple adjustments to their surroundings are made. Projecting slow-moving, happy visual effects onto the ceiling, turning down bright lights, avoiding loud tools, and giving a reassuring hug all work well to relax these young patients, the researchers report. It's common sense to try them with all your pediatric patients as well. Work with your local pediatricians. Research from Michigan Medicine found that one in six parents are mistaken as to when their child should first see a dentist — even though the recommendation is one year, parents often think they are supposed to wait until a child is four or older, which can contribute it the child's anxiety level and fear of the unknown. Work with the pediatricians in your area to put out the word regarding the right age to take a child in for a dental appointment. Signs posted in your office, as well the doctors' offices, can supplement verbal reminders effectively. Giving a child a small toy before he or she climbs into your chair, as well as a second toy as a post-exam reward, is a time-tested strategy that can work wonders to distract from anxiety. Keep plenty of treats on hand. Talk to the child like a person. Look into your young patient's eyes and say, "I know this is scary. But I'm not going to hurt you. You are safe with me." Use a soothing, direct tone. Repeat this as long as the child needs to hear it. Relating to a young patient as a person, and being humane, is always the best way to make them feel better — and make every subsequent visit easier.